Should Texting Drivers be Treated Like Drunk Drivers? You are here: Home / Car Accident / Should Texting Drivers be Treated Like Drunk Drivers? The dangers of texting while driving are nearly as identical to the public as driving while drunk. So why aren’t texters in Missouri subject to similar points, fines, license suspensions, and potential jail time as drunk drivers? Texting while driving has become a dangerous epidemic that isn’t just causing minor accidents. Texting while driving is killing people and the epidemic is made worse by the fact that the penalties for it are minor and the violations are seldom enforced. 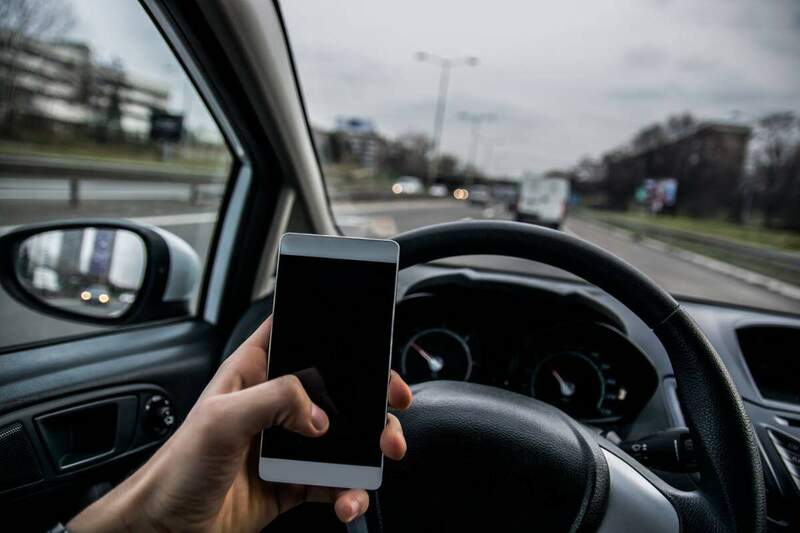 When texting and other forms of distracted driving cause a serious car accident, resulting in debilitating injuries to others on the road, it is often treated like a parking violation. So, it is not difficult to understand why the problem is only getting worse. In order to stop drivers from texting while behind the wheel of their cars, stricter punishments may be needed. If the punishment for it is more serious, then people may actually take notice and change their driving behaviors. This was the case with drunk driving. As punishments increased, the problem decreased. no person twenty-one years of age or younger operating a moving motor vehicle upon the highways of this state shall, by means of a hand-held electronic wireless communications device, send, read, or write a text message or electronic message. So, there is currently no law regarding the use of cell phones while driving. However, it does ban texting for all drivers that are 21 years old or younger. There are states though, like Alaska, Illinois, and New York that have tougher penalties for texting and driving. For instance, in Alaska, if a person is texting while driving and causes an accident they could be charged with a misdemeanor, punishable by a $50,000 fine and up to a year in prison. If the accident results in killing someone, the guilty person could spend up to 20 years in prison and receive a $250,000 fine. That is a much more serious punishment. According to an article published in the Washington Post, having stricter texting and driving laws do work. The article focused on a group of researchers that discovered that having some sort of texting law decreased the overall traffic fatalities by 2.3%. The researches also discovered that targeting teen drivers was more effective. Banning teen drivers from texting reduced traffic fatalities in that group by as much as 11%. Many of the texting bans for teens allows a police officer to pull them over for only texting. In other words, they don’t have to have another reason for the traffic stop. As mentioned before, there is a ban on anyone 21 years old and younger to text. However, the fine for a person 21 or younger texting is $200. While the hope is that this law helps eliminate the distraction, is it sufficient? It may be time for Missouri and other states to get tougher on texters. If you have been involved in a serious car accident due to a person that was texting while driving, contact The Hoffmann Law Firm, L.L.C. by calling (314) 361-4242 or by filling out our online contact form. It is critical to never text while operating your vehicle, for the sake of your passengers and the drivers around you. If you have been in an accident caused by another individual who was attempting to text, you have rights against him or her to recover for your medical bills, lost wages and other damages.